King Saud University is a public university in Riyadh, Saudi Arabia. It was founded by King Saud bin Abdulaziz in 1957 as Riyadh University, as the first university in the Kingdom of Saudi Arabia. It offers lot of scholarships for National and International students. Students from all around the world are getting their higher education from this University. Graduate Unit of Research and Scholarship deal with the activities of scholarships. University opens the scholarships every year in December. So, for intake 2017-18 University will open its online application submission portal in coming December 2016. Applications will be inviting for Master’s and Doctoral Studies from International Students. In case of “Category 1” the students of Master and Doctoral Degree will receive only 890 Saudi Riyal (SR) per month. Online Application submission LINK will be available soon in coming December. Prepare your documents and keep visiting this page. Suggestion is, to bookmark this page. Purely experience based article on “Should we join KSU for our higher studies?” has published. We met with many students who are/were the studying at KSU and record their views. So, lets be benefited together from their worthy talk with PakNewsPage.Com. We are very thankful to our seniors from KSU who shared their views that will definitely pave our path to make any final decision. Their experiences will help the newcomers to decide that Either they should join KSU or NOT. 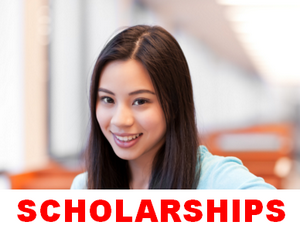 Stay with us and keep visiting this page or scholarships category for any update. How can I apply a scholarship faster in order to get it really is want lean our people want me be a English srudest and I want lean arabica better than English, I memrace the qur’an and i have qur’an sahada also I completed my first level Grade 9 . Those who apply 2015 to 2016 when the results will get out?? Mechanical Engineering at KSU? Please assist. Thanks. – Engr.Isma’il Chindo (Nigeria). can i wave the EPC?? Hi..I have done Master’s in Food and Nutrition from India.I am intrrested for phd. As salam alaek, am a graduate of university of Ibadan Nigeria,from department of Arabic and Islamic Studies,I want to apply for Master programme,what is the requirement age.I graduated with second class upper. plz send me the application link of 2018/2019 before the deadline. I have been searching for almost 2yrs now but couldn,t get any. MAY ALLAH REWARD. Assalamu alaikum. I completed B.A from the department of History at the University of Dhaka in Bangladesh in the year 2016 with 3.44 out of 4.00. Subsequently, i have done my M.A from the same department as well as institution in 2017 obtaining 3.52 out of 4.oo . My IELTS band score 6.5 ( listening 6.5+ reading 6.00+ speaking 6.00+ writing 7.00). Now i want to apply for Ph.D research program in Histrory or related field.. Can i have this opportunity? I want to apply for 2017-2018. Assalamu alaikum. Is there any history related Ph,D program. Is there Special Education Ph,D program available. thank’s, and what does the dokument should prepaire to get admission programme in king saud university for phd? Assalamualaikum, I want to apply for 2018-2019, Can I know when the admission begins for the Arabic Language Institute? Thank you! !